All are welcome at Zion! We are located in the Foothill / University / Sugar House area of Salt Lake City, a few blocks south of Sunnyside Avenue and west of Foothill Boulevard. Nestled in the historic Sugar House neighborhood, our bell tower is a familiar landmark for the heavily-traveled Foothill Boulevard to and from the campus of the University of Utah. Zion has parking lots on the north side and the south side. Parking lots can be accessed from Foothill Drive (see Google maps street view) and 2100 East. 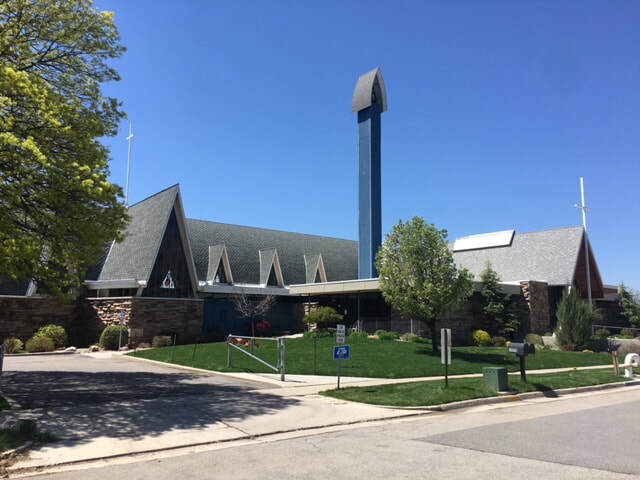 You can enter the church for Sunday worship from the main entrance (east doors) or the office entrance (south doors) - both are ADA accessible. During the week, please enter via the south entrance. There is a UTA bus 21 stop at Anderson Library on 21st east, just south of Zion. Find more information about bus 21 via the UTA website here.